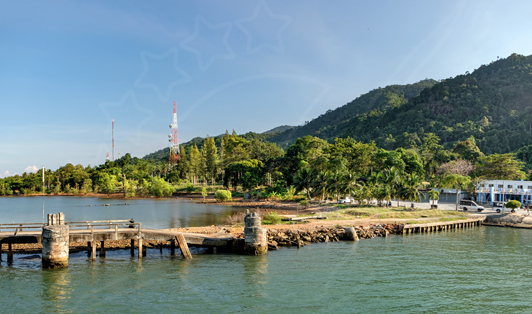 This pier is one of the main gateways to Koh Chang, it provides a welcome introduction to the things you can see and enjoy in Koh Chang. Pick up truck taxis are available right in front of the pier to take passengers to the west coast beaches. You’ll also find people selling boiled eggs and pot noodles as well as renting motorbikes and souvenir t-shirts all around the pier’s area.